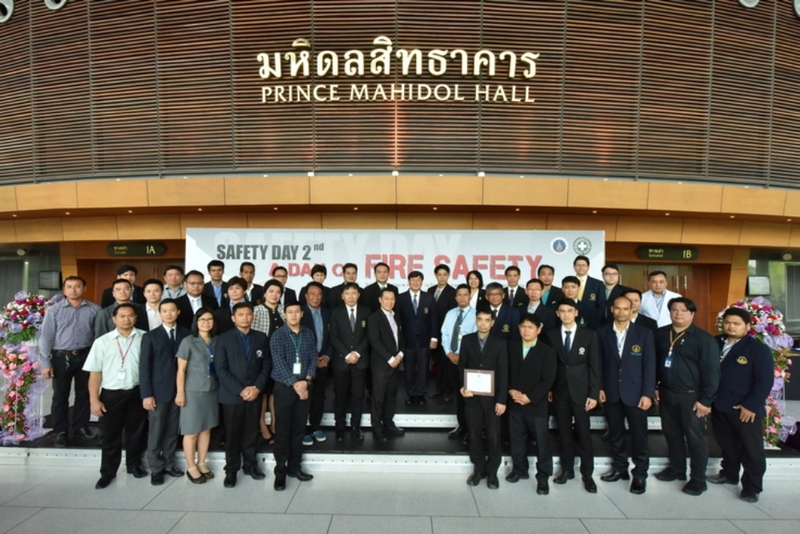 For being selected as one of the best five Mahidol University (MU) faculties in fire prevention, Mahidol University International College (MUIC) received the Best Performance Award for Fire Prevention and Control System during “MU Safety Day (Year 2): A Day of Fire Safety” on April 27, 2018 at Prince Mahidol Hall. Representing MUIC, Mrs. Somluck Lunsucheep, Associate Dean for Administration and Academic Support, received the award from Prof. Banchong Mahaisavariya, M.D, MU President. 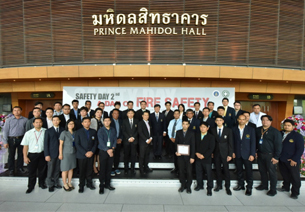 The event was organized by MU’s Center of Occupational Safety, Health and Environmental Management (COSHEM), Division of Physical and Environment as part of the university’s effort to encourage its faculties to organize an active fire prevention and control system in compliance with city laws.